I’ve long admired the “invincible summer” quotation from Camus. The longer version, however is much better. 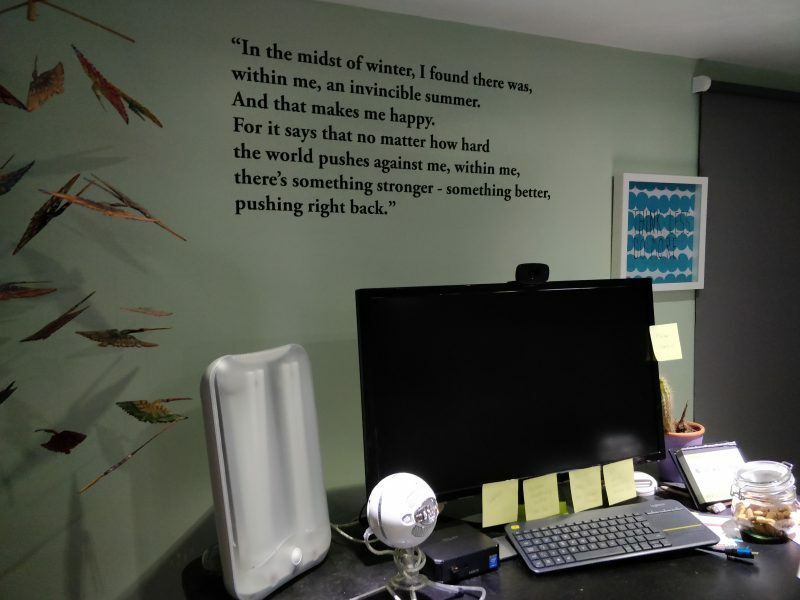 After I couldn’t find anywhere to buy a version that met my requirements (simple aesthetic longer quotation) I decided to order a custom wall decal. This evening, I put it up on the wall above the monitor on my standing desk. If you’re wondering where the author attribution is, well… I didn’t get that bit quite right, so it’s in the bin!